Taking a systems approach inspired by Donella Meadows, Fellow Dominic Stucker and Elena Lopez-Gunn co-edited a case study volume for Earthscan / Routledge entitled “Adaptation to Climate Change through Water Resources Management: Capacity, Equity and Sustainability.” The project received seed funding from Brown University and involved 45 early career and senior contributors from across disciplines and from around the world. Another Fellow, Danielle Hirsch, co-contributed case studies on Ghana and Peru. 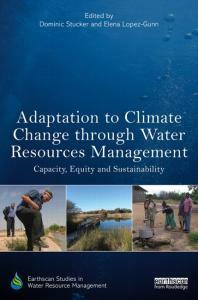 The volume offers practical insights into high leverage adaptation options for practitioners and policy makers. The impacts of human-induced climate change are largely mediated by water, such as alterations in precipitation and glacial melt patterns, variations in river flow, increased occurrence of droughts and floods, and sea level rise in densely populated coastal areas. Such phenomena impact both urban and rural communities in developed, emerging, and developing countries. 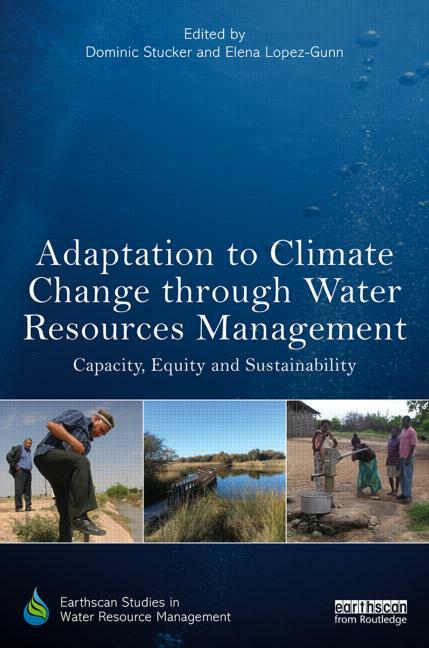 This book analyzes evidence from 26 countries and identifies common barriers and bridges for local adaptation to climate change through water resources management. It includes a global set of case studies from places experiencing increased environmental and social pressure due to population growth, development and migration, including in Africa, Asia, Australia Europe, North and South America. All chapters consider the crosscutting themes of adaptive capacity, equity, and sustainability. These point to resilient water allocation policies and practices that are capable of protecting social and environmental interests, whilst ensuring the efficient use of an often-scarce resource. We encourage those in the fields of climate change adaptation, water management and systems thinking to ask your librarian to order the book. Use this code – DC361 – to get 20% off. This entry was posted on Saturday, August 30th, 2014 at 1:15 pm	and is filed under Fellows Blog, SLN Blog. You can follow any responses to this entry through the RSS 2.0 feed. You can leave a response, or trackback from your own site.